“Great companies work to make money, of course, but in their choices of how to do so, they think about building enduring institutions. They invest in the future while being aware of the need to build people and society,” wrote Rosabeth Moss Kanter, a Professor of Business Administration at Harvard Business School, in the November 2011 issue of the Harvard Business Review. Six years down the line, this statement isn’t just true, it’s more relevant than ever. Businesses are a key pillar in society, and companies have the capacity to seriously influence their employees, partners, customers, and society at large. At Fiix, it has always been our mission to leverage this influence to become an agent for sincere social and environmental change. So a year and a half ago, we started on a path to make corporate social responsibility (CSR) a core tenant of our business. Since then, we’ve weaved CSR into our company’s DNA, adopting a triple bottom line of people, planet, and profit. Our hope is that by being open and transparent about this process, we can inspire other business—especially those in tech—to join this movement, and take up a similar cause so that collectively we can tackle some of the biggest issues facing our generation. 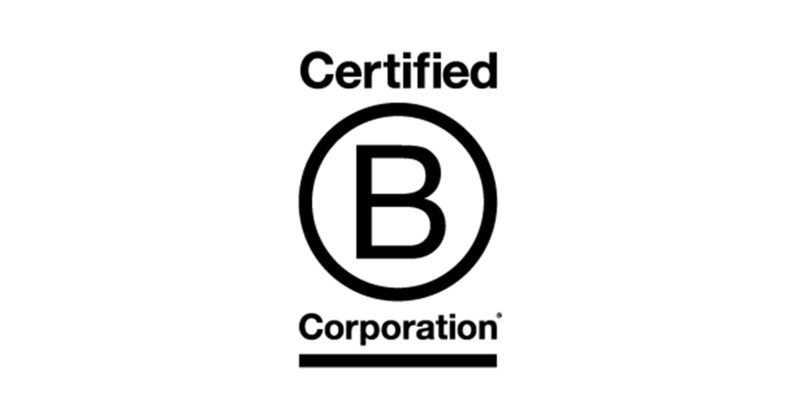 To validate our progress and help us identify areas for improvement, we decided to pursue B Corporation certification. Fiix officially became a certified B Corporation this past July. B Corp is a third-party certification for for-profit businesses that use their time and resources to solve social and environmental problems. Think LEED certification, but for ALL aspects of the business—diversity of company ownership, environmental footprint, employee wages and benefits, charity donations, and involvement in the community. This certification requires companies to undergo a rigorous assessment and meet a stringent set of standards around social and environmental performance, accountability, and transparency. Looking beyond the bottom line, we’ve evaluated how our practices impact our employees, community, environment, and customers. So why did Fiix become a B Corporation? It is not enough to measure success based entirely on profit, and conversations around inclusivity and sustainability are now happening in boardrooms worldwide, as companies seek to evolve, grow, and adapt in an increasingly unpredictable world. Shifts in the workforce itself are also fueling these conversations. By the year 2025, 75% of the workforce will be millennials; a demographic that demands more than just a paycheck from their employers. They are looking for a deeper meaning and a sense of purpose in their daily work. Employers that can provide this will attract and retain top talent, generate better outcomes (better public image, investor relations, and employee engagement are just a few examples here), and ultimately drive revenue. We wanted to take a proactive, deliberate approach to address the critical issues facing society, and B Corp gives us the framework to measure our progress in these areas. The certification shows that we are using business as a force for good, to change the way businesses work by looking after our employees, the community, and our planet. Although we are just starting this journey, we want to encourage and inspire others to join us to do the same so that collectively our actions will be magnified and have a lasting positive and measurable impact. Read more about our B Corp certification.